We all have those days when we put on countless outfits and none of them seem to match well or look great, so we pull out our phones and start scrolling through Pinterest and still nothing seems to be good enough. This was me this past Friday, so I wanted to do this post to help myself and all of you on those stressful mornings. All of these pictures came from Pinterest, none of these images are my own. On these mornings I find myself gravitating toward jeans, a colorful tee, and a statement necklace. What's your go to outfit for when nothing seems to look right? 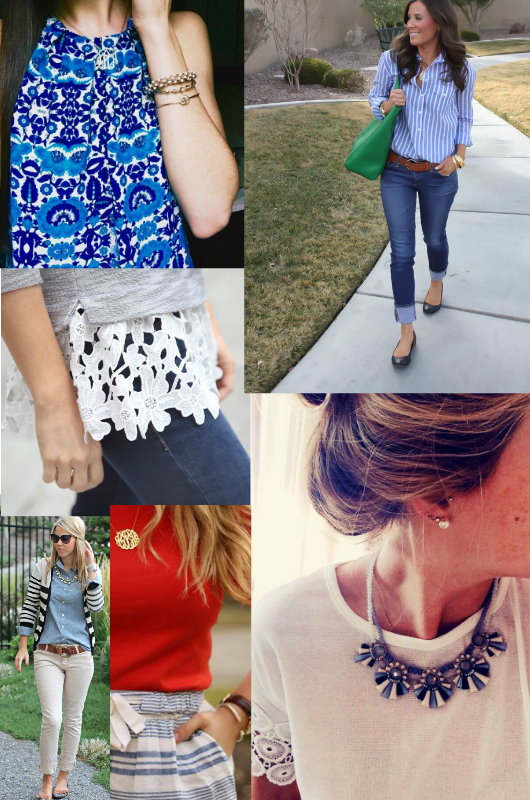 My go-to is definitely jeans and a striped shirt! Yeah stripe shirts are definitley a great go to! For me it's always jeans and something with lace on top. Loving this inspiration! So cute, such a perfect go to! Thanks!